Oak veneer reclaimed from old beams became new artwork frames! Kara Cable at Cat’s Meow framed and installed 25 units in the new cabins at Indian Springs State Park in Flovilla, GA. She said that "Lovely oak veneer reclaimed from old beams had the perfect character for this work". We really love how it turned out and it was pleasure to work with Cat's Meow and Georgia DNR. The frames will show case old black and white photos from the region. New facility that brings Lawrenceville public works departments into one building in now opened! The City of Lawrenceville had its ribbon-cutting for its new, $20 million Public Works Facility on February 12th at 435 West Pike St. The 122 employees from the city’s gas, electric, damage prevention, fleet maintenance, streets and sanitation departments will now all be working at this one location. The 66,000 SF facility includes three buildings, a mezzanine space and additional capacity for future growth if needed. It was Ground Breaking Day! The ground breaking ceremony for the Acworth's new community center facility took place on January 25th. The celebration took place at the corner of Cherokee Street and Logan Road. YANMAR Evo Center is a multi-purpose showroom, training center and customer experience campus designed to support our dealers, customers and community through our mission of empowering sustainability. Before and after shots are always exciting to see. CROFT's project architect, Butch Birchfield worked with Bethlehem Baptist Church in Clarkesville, Georgia on updates of their sanctuary. The renovation included enlarging the seating capacity from 390 to 568 seats. Also included in this project are new seating, new audio and visual equipment, and new lighting as well as an enlarged overall facility and newly decorated choir rehearsal suite. We are thrilled for our client, McNeal Professional Services who had their grand opening of their brand new building in Kennesaw, GA on Friday, October 21st. A big celebration took place which consisted of a ribbon cutting ceremony, guest speakers, special presentations and an office tour. All this included food, drinks and live music. CROFT had the pleasure to design this 17,108 square foot facility which includes McNeal’s Executive Offices, IT, Human Resources, Engineering, In-Building, Site Development and Accounting departments. The building also has 11,000square feet of additional office space and a 3,578 square foot warehouse. We are very excited about the final result and wish the McNeal firm all the best in their new building. To find out more about our client and to read about their services, please visit their website by clicking here. Today Jeff visited the site for the Academy of Classical Education in Macon, GA to check on the progress of the Upper School entrance and outdoor cafe patio. The project included adding 12 new classrooms, 2 science labs and a tech studio which will effectively eliminate the need for portable classroom units in the parking lot. Take a glimpse into the design process: this is a new headquarters building for a local client which includes space for a tenant, and a heated warehouse for storing their product on the far end. This design was created using Revit BIM software, the most current and up to date software for architects and engineers. 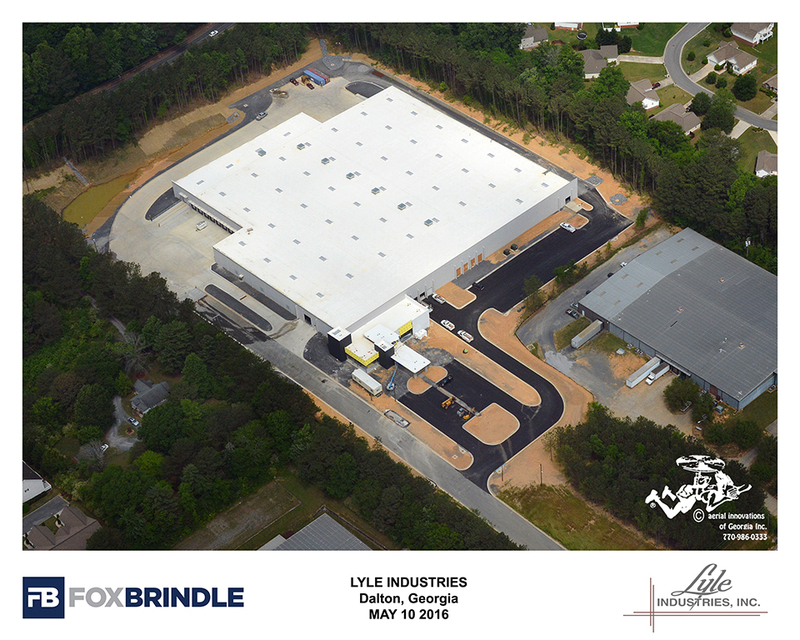 Thank you Fox & Brindle for sharing these fantastic progress shots of the new Lyle Industries Campus! Take a look at a few of the renderings we have completed showing an aerial view of the proposed site plan for North Cobb High School once renovations are complete. We are designing their new gym and performing arts center. The way we bring designs to life has transformed drastically in the last few decades. From building foam and wood models by hand to now having the capability to virtually walk through them, technology has propelled our abilities forward. At Croft we already design our projects as 3D models in Revit, which would allow us to simply import our designs into this product. Yesterday, Jim, Jeff and Krystyna visited the studio of Michael Dillon. He is being considered for the construction of the Flight 242 memorial. Take a look at a few shots from around his unique and interesting studio. We had our clay model of the Flight 242 Memorial scanned by a 3D scanner in "Point Cloud Format". It plots millions of points in order to create an accurate 3D image. We then took that scan and imported it into Revit to construct the 3D shape. This will help us further this design in a much more efficient way.